Share the post "Best Buy Brick Ranch"
We just got a big price reduction on a quality built 3 bedroom ranch home out near the High School. Each time I am in the home, I walk through my mind the things I would do to make it a showplace. The Birch woodwork is blemish free, there is a big window in the dining room that overlooks the rear yard that is like having a view of a park because this property backs up to the green area of St. James Lutheran Church. Since Mason City has its problems with water, this home is even more attractive because the owner said he hadn’t had any water in the basement in the years he lived there. I don’t doubt it because the carpet in the lower level family room is quite retro. There are two staircases to the basement in this home. One is in the living room and one in the garage. I have always liked the two staircase concept because during the months of gardening and yard work, one can go to the basement to clean up before coming up into the house. There is a ¾ bath in the basement of this home as well. All the appliances stay which helps when starting out. There is a pull down ladder in the garage that accesses a storage area above. The wiring is circuit breaker, the furnace is newer, there is central air and a garage door opener. Another great feature of this home is that it’s brick and the brick is of the Roman style. Anyone who purchases this home and has vision will turn it into a showplace. Once the cosmetics are complete, it will be like a George Foreman grill…you just set it and forget it! 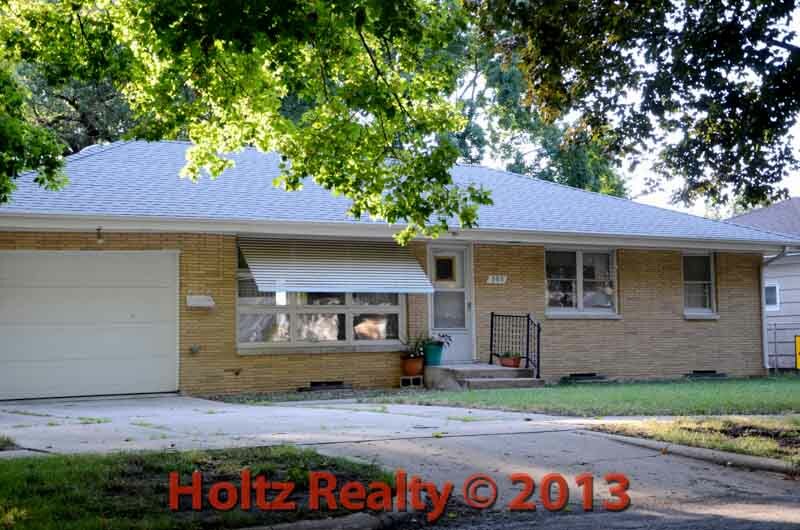 The owner recently passed away and the Executor wants this home SOLD! Click on the link below and give us a call to view this home.